It's been a while since I published a case study update, and for a good reason - there's really not much to update you guys on. Last time I wrote about our case study, the site cracked $100/month mark and was getting between 20-40 visitors a day. Well, sh*t scaled, and we're now averaging 100+ daily visitors and netting $200+ in August alone. This just reinforces the fact that it takes time to start seeing results. You simply can't create (or purchase)​ a website and expect it to start earning you money from the organic traffic within a month (or 2, 3...). Our case study is a prime example of that. 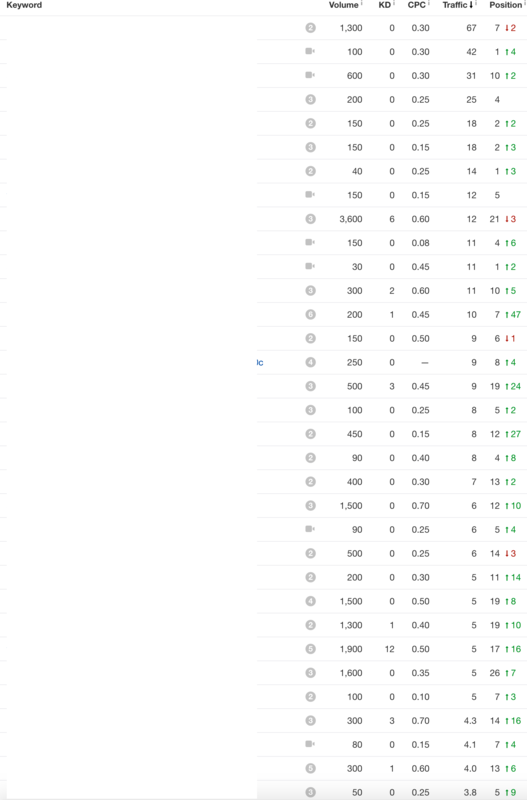 We've invested a lot of time and money in the content and link building, and it took us almost 8 months to really start getting some decent organic traction. You need to stick with your project and not give up if you don't see the results after a couple of months - that's perfectly normal. When we started this case study back in January, our goal was to break down the niche into eight categories (silos), start with the easiest one, get it ranked and then move on to the next one, rinse and repeat. Eight months in and we've covered 6/8 silos and added around 80k words of general content to battle the potential disaster called 'Fred'. This helped us increase the topical relevancy & start ranking for some long-tails that are further away in our content funnel (awareness stage). I'm really happy with how everything's playing out so far, and I have great hopes for this project. Enough small-talk - screenshot time! Total traffic numbers for 2017. As you can see, the site is developing nicely. My subjective opinion is that we'll pass the $1k/mo mark in October and be at/around $3k in December. $100k valuation is going to be a stretch, but I'll do everything I can to make it happen. I'll get back to work, and you can expect me to write another update in a month or so - after we crack the $1,000 mark ;). $100k Case Study Update #4 – We’re Making Money!